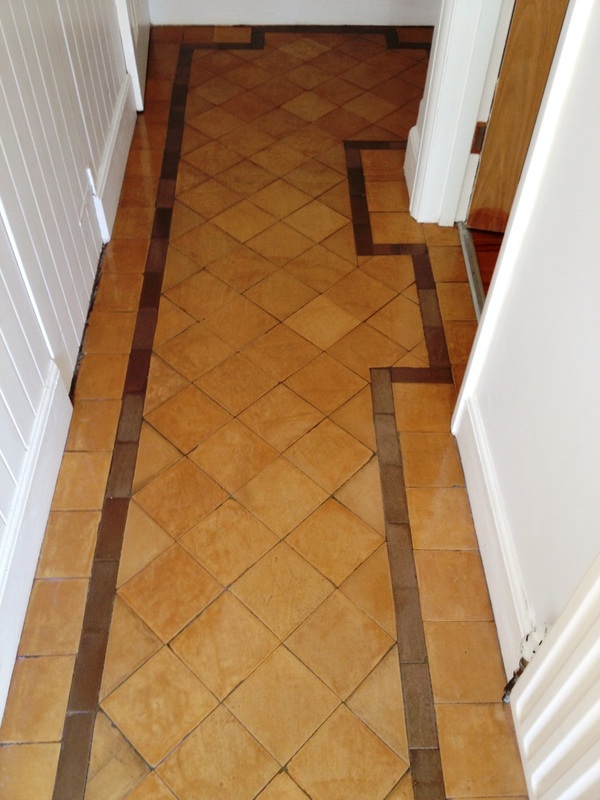 This was a straight forward strip and re-seal of a Victorian tiled hallway floor at a residence near the historic Hampton. 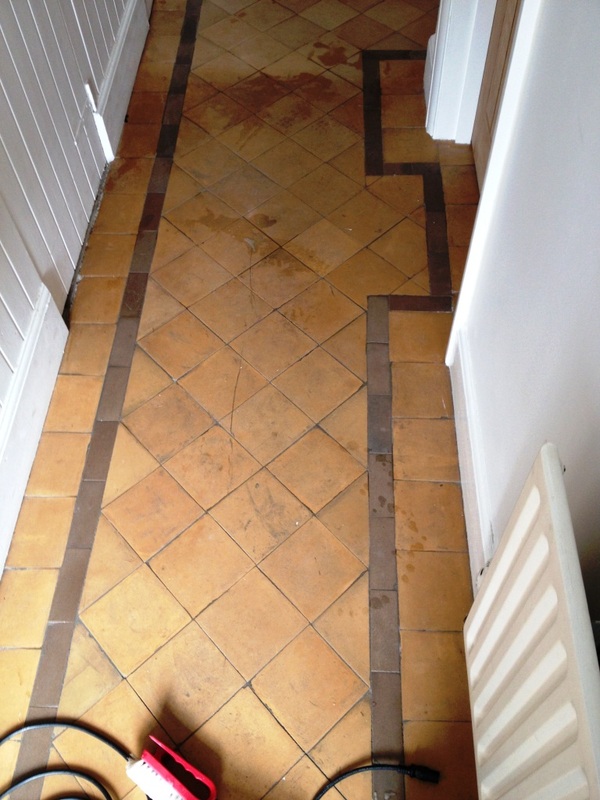 The floor I suspect was an original feature of the house and the owners had maintained it well but like any Victorian floor they will show the effects of wear especially in high traffic areas like a hallway and benefit from a good deep clean and reseal every few years. The floor was washed down in a strong dilution of Tile Doctor Pro-Clean which is a multi-purpose alkaline cleaner/stripper which is safe to use on tile, stone and grout. This was left to soak into the floor tile for about twenty minutes before scrubbing it deep into the tile using a rotary floor machine fitted with a black scrubbing pad. This did a great job of cleaning up the floor and removing what was left of the previous sealer. The soiled solution was removed with a wet vacuum and then washed down with clean water to remove any remaining product and neutralise the floor before sealing. There were a few stubborn areas that needed further attention and so I treated them with neat Pro-Clean and a steamer until I was satisfied it was a good I could get it, again once I had finished I gave the floor a good rinse with clean water. I left the floor to dry overnight and came back the next day to seal the tiles which for Victorian tiles I usually use Tile Doctor Seal and Go. 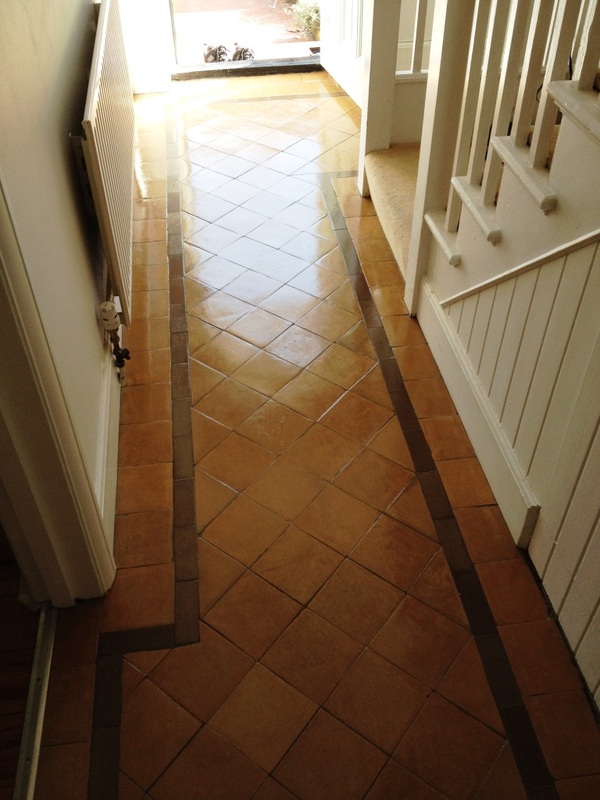 It’s a water based sealer so it leaves no smell add a nice shiny finish to the floor, six coats were require in the end which is not unusual for Terracotta due to the porosity of the tiles.